It didn’t seem like it at the time, but life was easier as a kid on Valentine’s Day. You get your Looney Tunes themed pop out cards, stick on a lollypop and then give them out to as many people as you wanted. The biggest challenge was deciding if you gave your 3rd grade crush the cute card with Babs Bunny blowing kisses or the funny one with Elmer Fudd being a grouch. As an adult, you are tasked with finding a card or gift that is thoughtful and personal for your significant other that conveys how much you care. That can be a much tougher challenge. Take your favorite photo and turn it into a beautiful piece of art for the wall. Do you have a photo of your favorite place? Where you had your first kiss? Where you got engaged? A favorite spot on a special trip? Make it into a focal point in your house to bring back great memories every day. Take all of those photo memories from the past year and put them into a commemorative photo book. This is great if you can’t choose from all the great photos you have from 2016. Get your creative juices flowing and make a custom card for your love. Let them know how much you care about them through endless customizable designs! Customize a 2017 calendar full of photo memories. Make them themed to each month, or choose photos at random. The design is completely up to you! 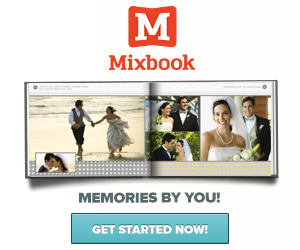 Mixbook will print and frame a special photo for you to add to your collection. The high quality image will bring your photo to life and you can choose from multiple frames to ensure they fit your decor. With Valentine’s Day approaching quickly, you’re on the clock! Go to Mixbook.com to start making your project today and take advantage of this week’s deals: 50% Off 16X20" Acrylic & Framed Prints + 40% Off Sitewide with code LVGFTS, expires 1/31.